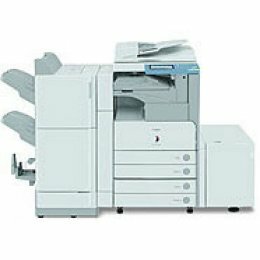 At 20 pages-per-minute (ppm) output speed, the imageRUNNER 2010F delivers exceptional document imaging and management capabilities to workgroups and small business enterprises. It offers digital laser copying combined with Super G3 fax functionality as standard. By adding the optional Printer Board-N1, the imageRUNNER 2010F can offer direct 1:1 printing via Parallel or USB Ports. Plus, with the optional network interface adapter the imageRUNNER 2010F not only offers copying, faxing and network printing, but also "push scan" capabilities. With this capability, documents scanned directly into the imageRUNNER 2010F can be distributed to multiple destinations, to individual or groups of e-mail addresses, to network or host folders and files, to document management applications, and as Internet Fax.